Most potential home buyers wonder when the best time to purchase a home is. Well, now that the harsh winters are in the rear view mirror and the spring and summer months are approaching, there is no better time to become a homeowner than right now. Real estate experts state that the spring and summertime is the peak season for homebuying because that is when the most amount of homes are available for purchase on the market. Also, most people would rather not go out and view different homes in the winter, which is why most buyers wait until the spring and summer. So, now that the peak season is approaching, you should start getting organised with your finances and schedule an appointment with your Hamilton mortgage broker today. As discussed in previous blogs we can pre-qualify you for a mortgage so that you can start shopping for your new home with confidence. In reference to Zolo.ca, the current average sold price in Hamilton is $550,000. This is a slight increase of 0.6% since March of 2018 and is the same price as February 2019. This means that the housing market in Hamilton is stable. Residential marketing professional are expecting the housing prices and interest rates to increase throughout the year, especially during the peak homebuying season. Therefore, now would be an excellent time to lock in a rate for a Hamilton mortgage before they increase. 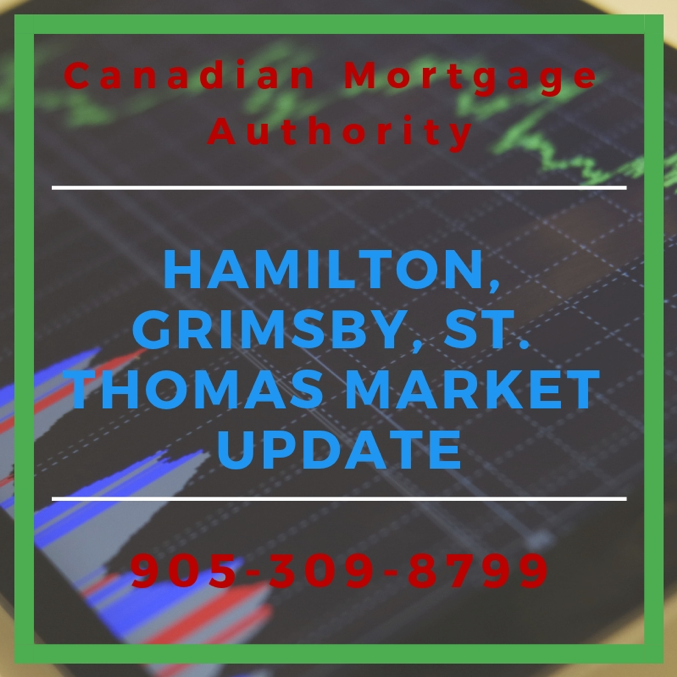 If you are interested in finding a home in Grimsby, the current average sold price for March 2019 is $508,000. This price is a massive 24.7% decrease since this time last year and is a 15.7% decrease since February 2019. With rates significantly lower now than they were one year ago, now would be the perfect time to lock in a rate with your broker before they go back up. The London St. Thomas area has currently sold 5.6% more homes this February 2019, a total of 603 units compared to February 2018. The average sale price is currently listed at $360,800, which is a 33% increase from this time last year. Contact your local mortgage broker for more details. For more information on the current market trends in the local region or if you are ready to begin your application for a home loan, please contact your local mortgage broker in Hamilton, the Canadian Mortgage Authority team, at 905-309-8799.